Immigrant workers contribute to the Ghanaian economy in several ways. They are well integrated in labour markets in terms of employment, although female immigrants often face greater challenges than male immigrants. Even though much of the employment of immigrant workers appears to be demand-driven, immigration may have some displacement effects in particular for native-born women. The contribution of immigrants to the government’s fiscal balance exceeds the contribution of the native-born population on a per capita basis. The overall contribution of immigrants to GDP is estimated at 1.5%. 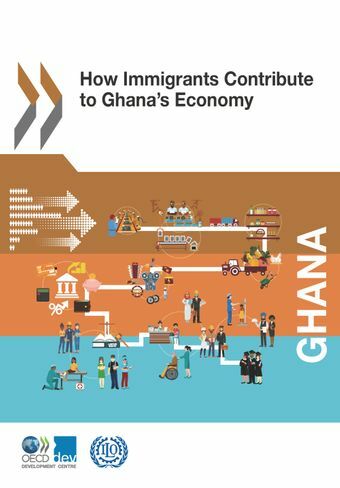 Ghana is aiming to mainstream migration into development policies, and this objective would benefit from stronger labour market information and analysis systems.How Immigrants Contribute to Ghana’s Economy is the result of a project carried out by the OECD Development Centre and the International Labour Organization, with support from the European Union. The project aimed to analyse several economic impacts – on the labour market, economic growth, and public finance – of immigration in ten partner countries: Argentina, Costa Rica, Côte d’Ivoire, the Dominican Republic, Ghana, Kyrgyzstan, Nepal, Rwanda, South Africa and Thailand. The empirical evidence stems from a combination of quantitative and qualitative analysis of secondary, and in some cases primary data sources.